This beautiful apartment on the first floor of the owner’s house is comfortably furnished and nestled in a quiet location on the village outskirts. A warehouse building of the former power mill has been transformed into a beautiful cottage. The mill museum Krnzow is still active and is on the edge of a large park. The house offers a solarium, a fitness room with treadmill, an elliptical machine and table tennis for shared usage (chargeable). There is a small petting zoo for children outside. 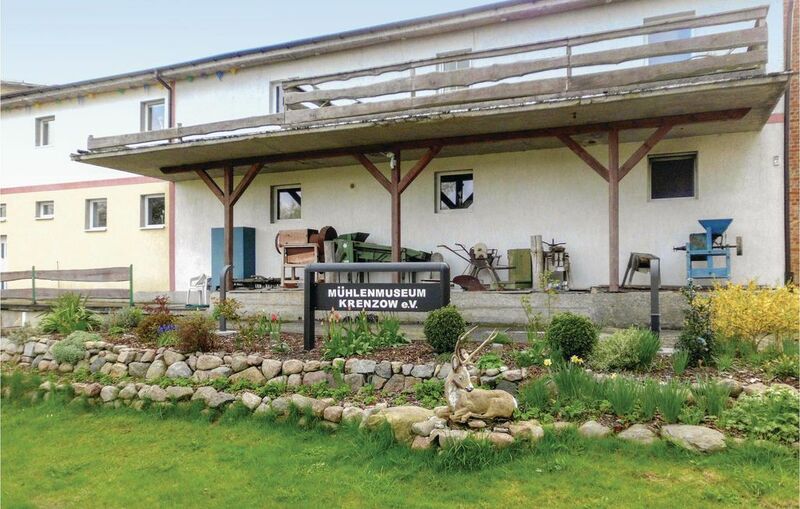 You will holiday here in close proximity of Peenestrom, the backwaters and the island of Usedom.